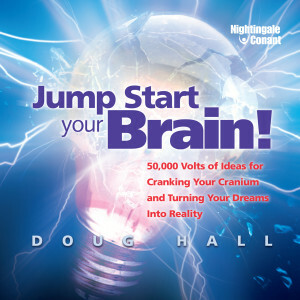 Doug Hall started his entrepreneurial career at the age of 12. Later, after earning a degree in chemical engineering, he joined Procter & Gamble, where he rose to the rank of Master Marketing Inventor. Ten years later he retired to pursue his version of the American Dream. And founded what is today the #1 corporate innovation and research facility in the United States - the Eureka! Ranch. Clients include Walt Disney, American Express, AT&T, Frito-Lay, Hewlett Packard, Mattel, Johnson & Johnson, Ameritech, Pepsi-Cola, and Ford Motor Company. A national study found the average U.S. home uses 18 products or services Doug and his team have helped develop. Feature stories on Doug have appeared on Dateline NBC, CBC Venture, CNN, CNBC, NPR, as well as in Inc. magazine, The Wall Street Journal, CIO magazine, and The New York Times. Doug is married to his high school sweetheart, Debbie, and they have three children. They split their time living in a 170-year-old homestead in Cincinnati, Ohio, USA, and a 140-year-old farmhouse in Springbrook, Prince Edward Island, Canada.